Dress for the Weather were appointed to provide additional living space to a detached dwelling in Bishopbriggs. 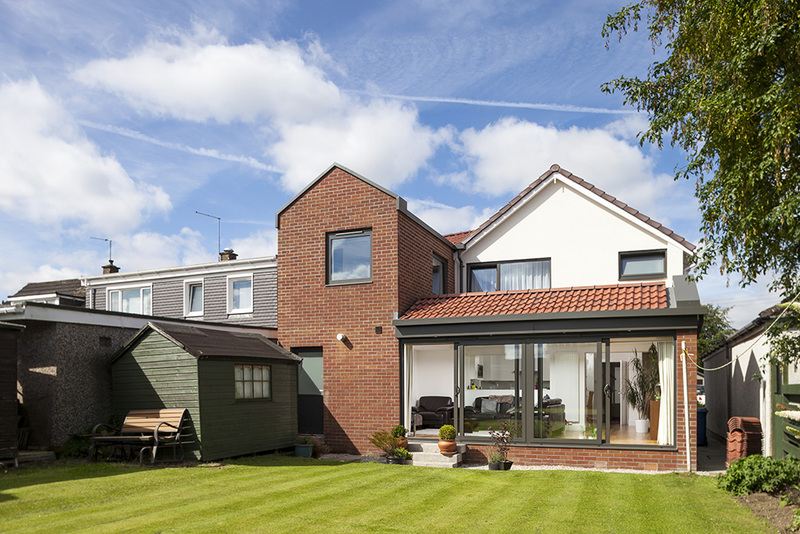 A wraparound extension - with two storeys to the side and a single storey the rear - creates an integrated garage, an additional bedroom and an enlarged living/kitchen area. 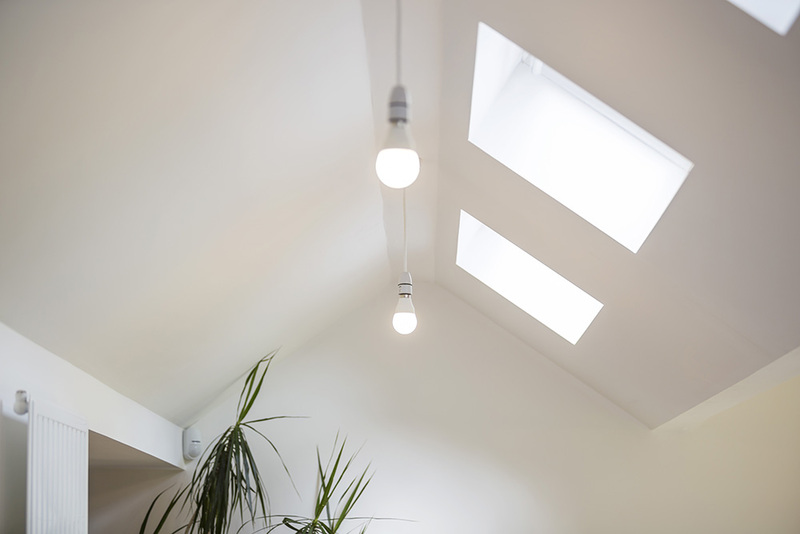 The composition of the rear extension allows for a good amount of natural light into the new bedroom and living space while the stepping down from two-storey to single storey also allows natural light much deeper into the plan - to the kitchen space. This step also creates the feature double-pitch roof above the living and dining space that frames the living room snug and new fire.